Five people, including two NGO officials, were arrested on Wednesday for misappropriating government funds to the tune of over Rs 13.50 crore meant for construction of toilets in the state capital. PATNA: Five people, including two NGO officials, were arrested on Wednesday for misappropriating government funds to the tune of over Rs 13.50 crore meant for construction of toilets in the state capital, a senior official said. 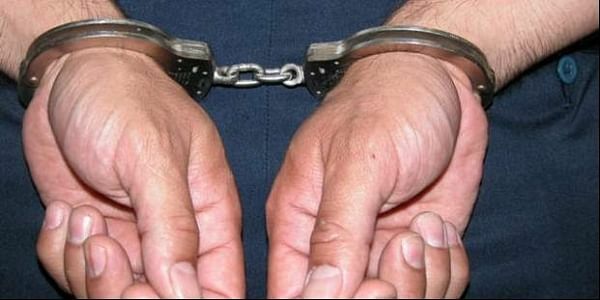 Patna Senior Superintendent of Police (SSP) Manu Maharaj told media persons here that five people were arrested in connection with the toilet scam. "Police have arrested them and more will be arrested soon" he added. Cases were earlier filed against two Bihar government officials and four NGOs for misappropriating government funds meant for construction of toilets in the state capital, a senior official said. According to officials, the scam under "Lohiya Swachh Bihar Abhiyan" during 2012-13, 2013-14 and 2014-15 was detected by district officials. It was found that money meant for the beneficiaries was routed through four NGOs instead of making it available directly and there is no record that it finally reached the real beneficiaries. Opposition RJD has been blaming Chief Minister Nitish Kumar for the toilet scam.